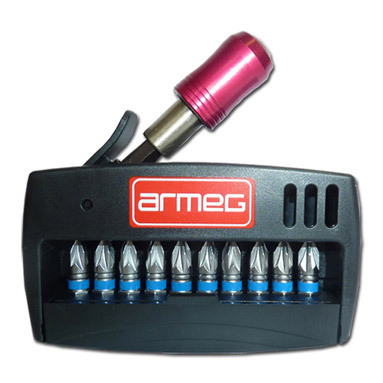 Armeg Screwdriver Bit Set 11 Piece PZ2 - a superb value for money screwdriver bit set from Armeg that contains all of the most popular screwdriver bit sizes supplied in a handy carry case. Click and drive adaptors for rapid bit changes. 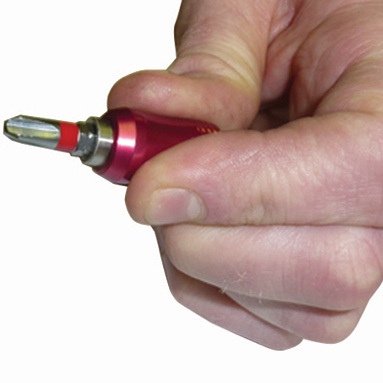 Impact rated screwdriver bits for use with impact screwdrivers. Made from high-quality S2 grade steel for maximum durability and extended lifespan. Includes: 1x Click and Drive Adaptor and 10x PZ2 Bits.